Nice Home Real Estate established in 2003 to keep up the fast growing market of real estate in U.A.E. because of its great attractions. 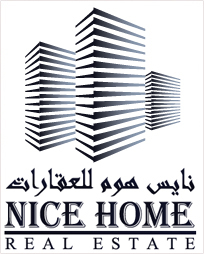 Nice Home provide the clients with the best services for all projects which is under company Supervision such as flats, offices, shops, showrooms and sheds. We always care to choose the best quality materials for our projects and design bigger and comfortable space with luxury and comprehensive services. The properties we handle for the management, rent or investment chosen carefully and our special experienced supervision provide the clients with the continues maintenance service and the legal measurements and so many other services. © iMALL. All Rights Reserved.